If ski lifts are closed further information is available on+41(0)27/306.35.53. 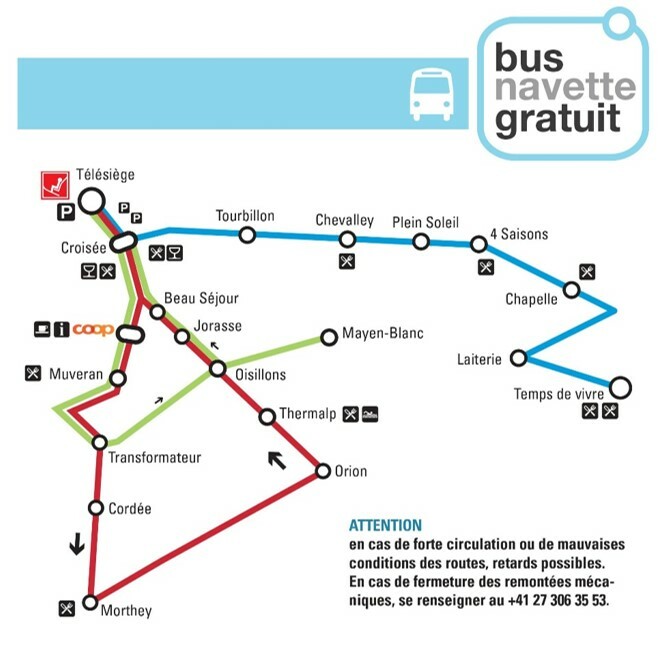 All the year the yellow bus is free from Préplan to Plein Soleil stops in Ovronnaz. From the chairlift and back every 15 minutes.